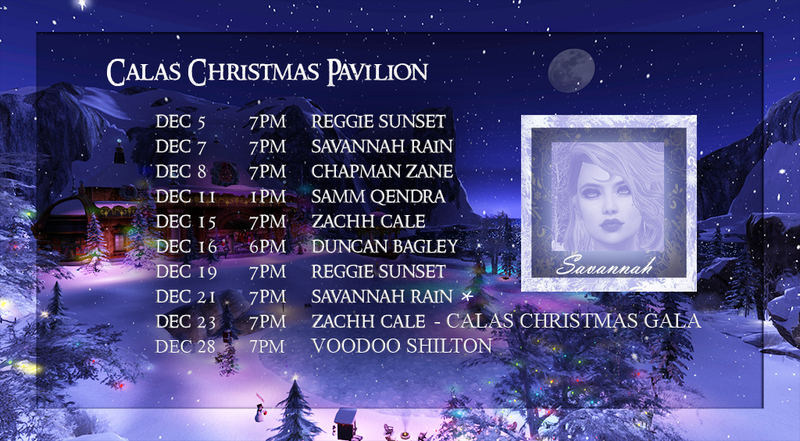 Savannah Rain is back at The Christmas Pavilion, Wednesday, December 21, 7pm SLT! This entry was posted in Uncategorized and tagged A Christmas Poem, Best in Second Life, Calas 2016 Holiday Build, Calas Galadhon Park, Christmas Pavilion, Live Music in Second Life, Savannah Rain, Second Life, Virtual world by Romie Vella. Bookmark the permalink.